Administrative processing - what does it mean? Consular Sections - How are they organized? Overseas filing of I-130's; when is it possible, and where? Michael Phulwani (Discussion Leader) is admitted to practice law in India, New York and New Jersey. He has been practicing law for about 39 years in the field of Immigration and Nationality Law. He is admitted to practice law in New Jersey, New York, and India. 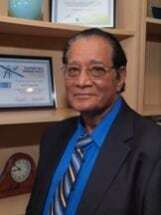 He maintains law office in Maywood New Jersey, and in Mumbai India.. He has successfully handled many complex immigration matters with the Immigration and Naturalization Service and consular processing cases at American Consulates abroad especially consular posts in India. Michael Phulwani is the author of 'Guide to U.S. Visas' and numerous articles published in various ethnic newspapers and other publications in the U.S. and abroad such as News India, India Tribune and Gujarat Times. He has also co-authored a series of articles on American Consulates in India, Pakistan and Bangladesh published in "The Visa Processing Guide" by American Immigration Lawyers Association. David Nachman was born in New York and is a lifetime resident of New Jersey. 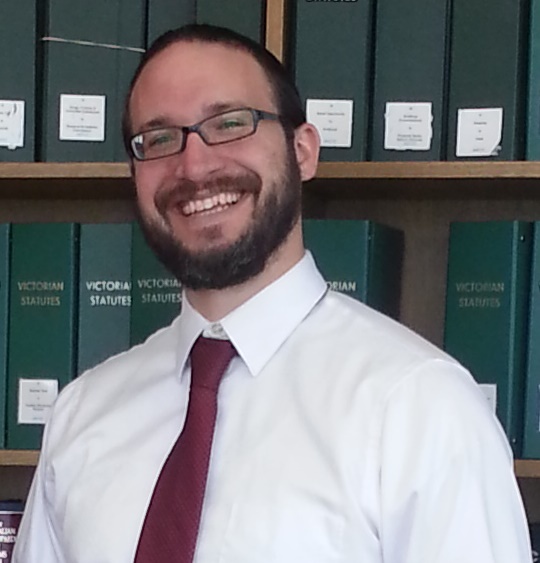 Following his admission to practice, Mr. Nachman was employed for three years with one of New Jersey's largest law firms in Newark, New Jersey, in Corporate and Business Law Department. Here, Mr. Nachman engaged in the business immigration law practice and he assisted with general corporate compliance and commercial litigation. Mr. Nachman, along with other firm attorneys, worked on such cases as Berger vs. Berger (a landmark decision regarding the interpretation of what constitutes a minority shareholder pursuant to the New Jersey Business Corporation Act) and Wolley vs. Hoffman-LaRoche (a landmark decision in the employment law arena concerning the legal and contractual implications arising from an employment handbook). Mr. Nachman also successfully completed nonimmigrant and immigrant visa applications for national and international businesses of all sizes in many industries then joined another premier New Jersey law firm located Middletown. Noah Klug started his career with the U.S. Department of Justice Executive Office for Immigration Review (EOIR) through the Attorney General's Honors Program. He then joined the law firm Fragomen in its Sydney, Australia office, and later its Melbourne, Australia office, to lead the firm's U.S. consular practice for the Asia Pacific region. Noah now works in a boutique law firm in Melbourne, Nevett Ford Lawyers, where he practices U.S. immigration law, as well as Australian immigration law, employment law, and commercial law. Noah is the Chair of the American Immigration Lawyers Association (AILA) Asia Pacific Chapter (BDC) and the Co-Chair of the American Bar Association (ABA) Immigration and Nationality Committee. He has spoken at the AILA annual conference, ILW seminars, American Chamber of Commerce seminars, and other events. He has written numerous articles for organizations such as AILA, the ABA, ILW, and the New South Wales government. Alice Yardum-Hunter Certified Specialist since inception of the Immigration and Nationality program in 1989, and Former Commissioner, Board of Legal Specialization, Immigration and Nationality Law, California State Bar from 1991 - 1994, has practiced immigration and nationality law for more than 30 years. Alice was the 2011-2012 Chair of the L.A. County Bar Association, Immigration Section and also served in all officer positions. She's been on the executive committee for more than six years. She's served also as the organization's Liaison with the Port of Los Angeles, U.S. Customs and Border Protection, U.S. Citizenship and Immigration Services California Service Center, and U.S. Department of Labor. She represents employers and aliens in employment based nonimmigrant and immigrant cases, with a focus on those who are extraordinary or in the U.S. national interest, specialty occupation, professional and skilled workers, family based immigration, citizenship by descent, and complex naturalization and removal matters including for criminal aliens. Her grandfather was an extraordinary immigrant inventor of 20 machines in the food manufacturing industry having invented, for example, the sugar cone for ice cream. Veronique Malka is the only known immigration lawyer in the U.S.A. who dedicates her practice to Canadian immigration. She is a Canadian attorney from Ontario, Canada, with a license of Foreign Legal Consultant from the Supreme Court of New Jersey. Veronique is a native of Montreal, Quebec. She obtained a Bachelor of Civil Law (B.C.L.) and a Bachelor of Laws (LL.B) at McGill University in 1993. She clerked at the Quebec Court of Appeal and worked as a researcher for the Canadian Jewish Congress on the Supreme Court issue of prosecution of Nazi war criminals. She also worked as law student in London, England. Ludka Zimovcak is an experienced US Immigration Attorney with a sincere passion for excellence in immigration law. Ludmila's passion for excellence in immigration law derives from her own family's first-hand immigration experiences. Ludka is also fully licensed to practice as an Attorney in Slovakia. Ludka was born in Slovakia (former Czechoslovakia) and is fluent in Slovak, Czech, Russian and Polish languages. She graduated from the Faculty of Law at the Comenius University, one of the most prestigious law schools in Slovakia, with a Master's of Law Degree. During Law School, Ludka served as a Legal Intern for several major Slovak law firms, where she obtained corporate and business law experience.